Made from BPA-free, food-grade stainless steel. 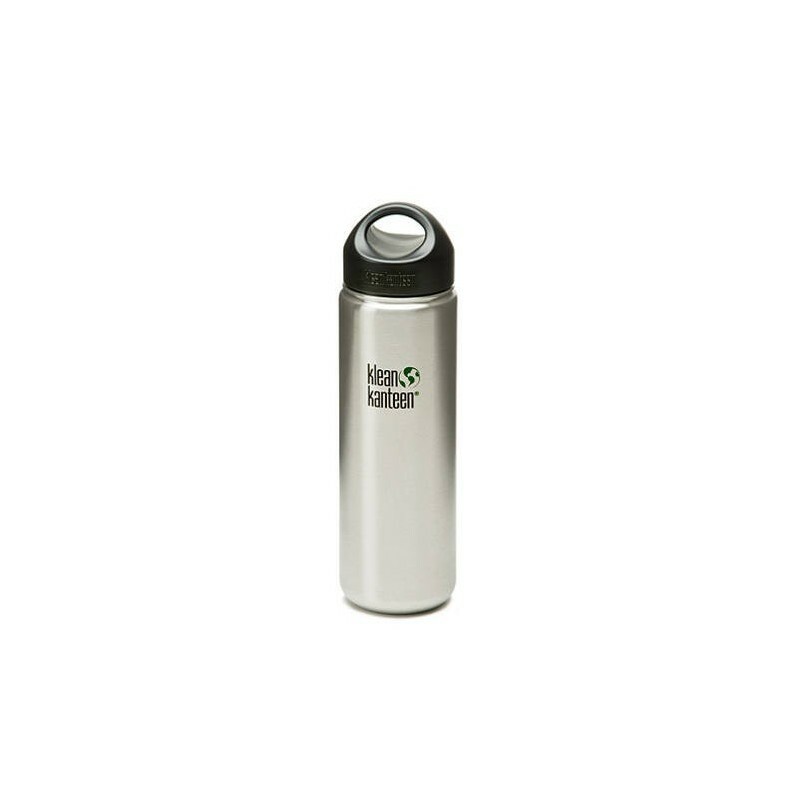 The stainless steel bottle is great for both everyday use and outdoor adventures. Order a Café Cap to transform into a splashproof, easy-drink bottle. Klean Kanteen Wide bottles are great for both everyday use and outdoor adventures. They're easy to fill, easy to clean, and are made from durable stainless steel. The Klean Kanteen 800mL single wall bottle comes with a wide mouth for easy filling and cleaning, and the durable stainless steel means a tough bottle with no liner needed! For drinking on the go, order an accessory Café Cap, and convert your bottle into a splashproof to-go bottle with a quick twist. Made from high quality food-grade 18/8 stainless steel. BPA-free, will not leach harmful chemicals (wide-mouth caps with stainless steel on the inside so you get a 100% stainless environment). Does not retain or leach flavours. Safe for fruit acids, carbonated, and energy drinks. Extra-wide mouth fits ice cubes and makes cleaning a breeze. Tough, leak-proof, replaceable parts: This product's long life means precious resources are not wasted to keep making low-quality, disposable products. Healthier choice: Plastic drink bottles can leach harmful chemicals. This bottle is proudly BPA, Phtalate and lead free. 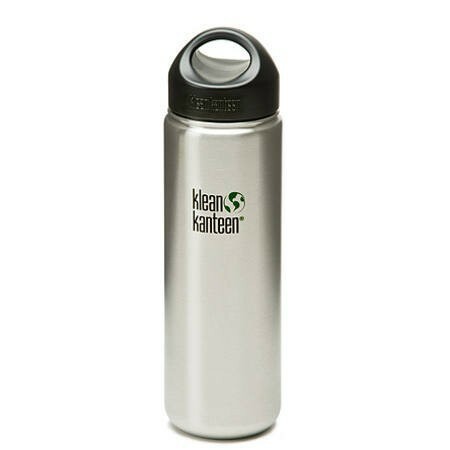 Recyclable: At the end of it's useful life, your Klean Kanteen stainless steel bottle can be easily recycled. Food grade 18/8 stainless steel bottle. Cap made from toxin-free polypropylene (pp#5) outside + stainless steel inside. No parts contain BPA. We do not recommend you put your Klean Kanteen bottle in a dishwasher (as it may scratch the print on the bottle) or freezer (due to water to ice expansion which may damage your bottle). Browse our other Klean Kanteen products. Love the wide mouth for ease of cleaning. I also like how the lid goes around the mouth of the bottle so that the part that touches your mouth is not touching everything on the outside. Just be careful that you know this one is not insulated. This is the best because of the wide mouth - makes it easy to clean. Also the stainless steel must be a good water bottle material because it doesn't transfer any weird taste to the water or smell funny after a while like plastic bottles do. This is a long slim bottle with easy to open top. Can leak if you replace the seal it's not inputted in properly. If using tap water make sure to wash regularly to avoid it getting smelly. Hopefully I won't lose this one.